(b. 1958) – cultural manager, essayist, translator, founder of the “Borderland” Foundation, director of the “Borderland of Arts, Cultures, Nations” Centre in Sejny. For his work to date, Czyżewski has received, among others, the Polcul Foundation Award, the Stanisław Wyspiański Prize for Young Artists, the Paris “Kultura” Award, the Gabor Bethlen Prize for a Man from Central Europe, the Małe Berło Kultury Polskiej (Small Sceptre of Polish Culture) Prize granted by Jerzy Giedroyć, the Medal of St George granted by Tygodnik Powszechny, the Minister of Foreign Affairs of the Republic of Poland DEiploma for his eminent contribution to the promotion of Poland in the World, as well as Aleksander Langer International Prize. He was awarded the Order of the Lithuanian Grand Duke Gediminas and the Knight’s Cross of the Order of Polonia Restituta. He is the author of the books Ścieżka pogranicza [The Path of the Borderland] and Linia Powrotu [Line of Return. Notes from the Borderland]. 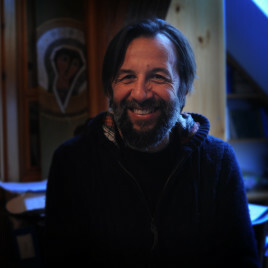 He is the initiator in intercultural dialogue programmes in Central Europe, in the Balkans and in Central Asia. From 2012-2013, he served as the Artistic Director of the European Capital of Culture 2016.